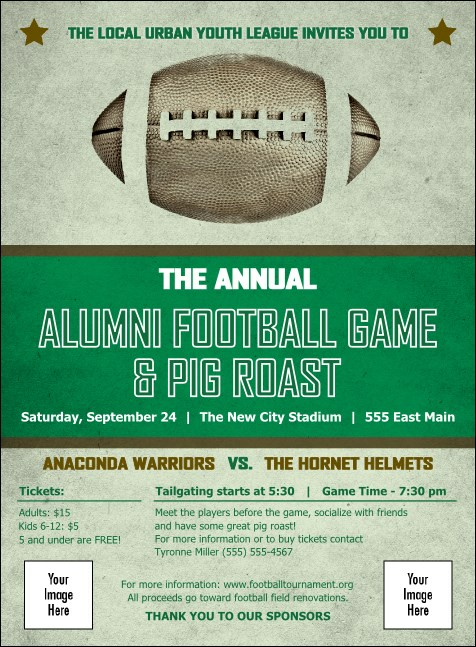 Make your ticket sales spike when you advertise in advance with Football Green Invitations. Send out these classic, sports-themed Invitations to your guest list and watch the RSVPs start rolling in. Every Invitation gives you room to include two of your own, personal images on a newsprint background accented with bright green text. TicketPrinting.com helps you gain possession of great advertising.